Chagatai Khan: Dhimmi Republic of Pakistan. “Before I narrate the remote and immediate causes of my resignation, it may be useful to give a short background of the important events that have taken place during the period of my cooperation with the League. 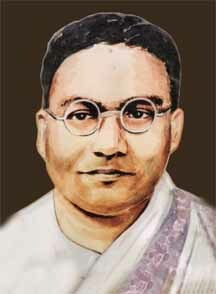 Having been approached by a few prominent League leaders of Bengal in February 1943, I agreed to work with them in the Bengal Legislative Assembly. 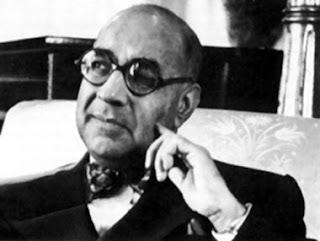 After the fall of the Fazlul Haq ministry in March 1943, with a party of 21 Scheduled Caste MLAs, I agreed to cooperate with Khwaja Nazimuddin, the then leader of the Muslim League parliamentary party who formed the Cabinet in April 1943. “...For the sake of truth I must admit that I had always considered the demand of Pakistan by the Muslim League as a bargaining counter. 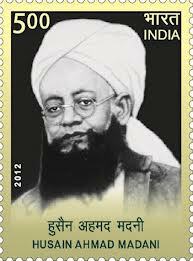 Although I honestly felt that in the context of India as a whole, Muslims had legitimate cause for grievance against upper class Hindu chauvinism, I held the view very strongly indeed that the creation of Pakistan would never solve the communal problem. On the contrary, it would aggravate communal hatred and bitterness. “Besides, I maintained that it would not ameliorate the condition of Muslims in Pakistan. The inevitable result of the partition of the country would be to prolong, if not perpetuate, the poverty, illiteracy and miserable condition of the toiling masses of both the states. I further apprehended that Pakistan might turn to be one of the most backward and undeveloped countries of Southeast Asia. “I must make it clear that I have thought that an attempt would be made, as is being done at present, to develop Pakistan as a purely ‘Islamic’ state based on the shariat and the injunctions and formulae of Islam. I presumed that it would be set up in all essentials after the pattern contemplated in the Muslim League resolution adopted at Lahore on March 23, 1940. 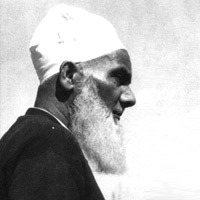 That resolution stated inter alia that...‘adequate, effective and mandatory safeguards should be specifically provided in the constitution for minorities in these units and in these regions for the protection of their religious, cultural, political, administrative and other rights and interests in consultation with them’. 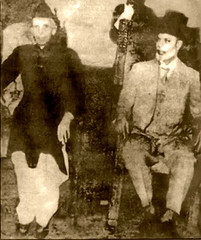 “...I was fortified in my faith in this resolution and the professions of the League Leadership by the statement Quaid-i-Azam Mohammed Ali Jinnah was pleased to make on the August 11, 1947 as the President of the Constituent Assembly giving solemn assurance of equal treatment for Hindus and Muslims alike and calling upon them to remember that they were all Pakistanis. “...Every one of these pledges is being flagrantly violated apparently to your knowledge and with your approval in complete disregard of the Quaid-e-Azam’s wishes and sentiments and to the detriment and humiliation of the minorities. “When the question of partition of Bengal arose, the scheduled caste people were alarmed at the anticipated dangerous result of partition. Representations on their behalf were made to Mr Suhrawardy, the then chief minister of Bengal who was pleased to issue a statement to the press declaring that none of the rights and privileges hitherto enjoyed by the scheduled caste people would be curtailed after partition and that they would not only continue to enjoy the existing rights and privileges but also receive additional advantages. This assurance was given by Mr Suhrawardy not only in his personal capacity but also in his capacity as the chief minister of the League ministry. “To my utter regret it is to be stated that after partition, particularly after the death of Quaid-i-Azam, the scheduled castes have not received a fair deal in any matter. You will recollect that from time to time I brought the grievances of the scheduled castes to your notice. I explained to you on several occasions the nature of inefficient administration in East Bengal. I made serious charges against the police administration. I brought to your notice incidents of barbarous atrocities perpetrated by the police on frivolous grounds. I did not hesitate to bring to your notice the anti-Hindu policy pursued by the East Bengal government, especially the police administration and a section of Muslim League leaders...” So, what else is new in the Islamic Republic?